Kalpana is a 29-year-old mother who is affected by leprosy. She has 4 children under 8 years old – one is disabled by cerebral palsy and the fourth was born at Lalgadh in February (2016). Her situation has become extremely difficult, and the team at Lalgadh need to intervene rapidly to save this family from disaster. Her story illustrates the challenges of the caste system, of being affected by leprosy and of having a disabled child in a country where there are no formal support services. Kalpana comes from a village in the hills to the north of Lalgadh. Her parents have some land, but are not well off. When Kalpana was 15 years old she eloped with a young driver, and they were very happy and had two girls in the early stage of their marriage. In due course Kalpana’s family allowed her and her husband to live with them again, until they discovered that Kalpana’s husband was from a low caste. They issued an ultimatum – “Leave your husband or leave the house!” Kalpana left with her husband and two daughters. Things were fine for a while and they had a third child – a boy. However, things deteriorated when Kalpana came to Lalgadh for examination in April 2014 and was found to have leprosy. She was given a two-year course of multi-drug therapy treatment, which she tried to keep secret from her husband. 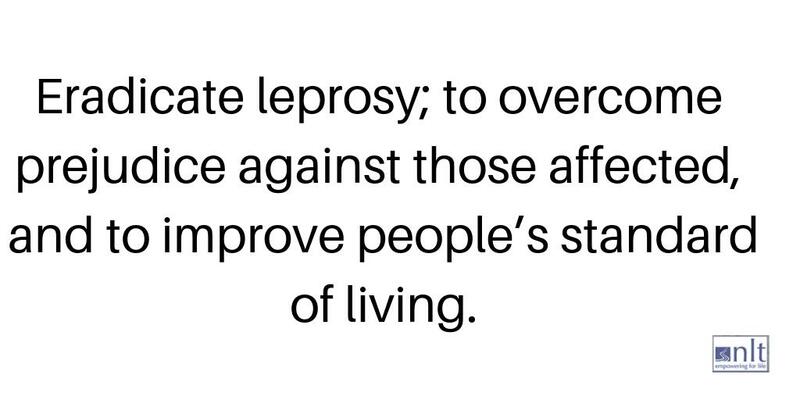 But he found out, and then the fear and stigma of leprosy unravelled this little family. He made her eat separately from the family and tried to stop her from touching their children. Kalpana could not bear this, and said he could beat her or whatever, but she was their mother and would look after them as a mother must. The situation worsened when it became apparent that their son had cerebral palsy, and then, six months ago, Kalpana’s husband suddenly left. Kalpana was 3 months pregnant, and now had no home, no job, no money, no husband, and was unwell with leprosy. For a while, Kalpana rented a room but she could not earn enough to maintain the family, so eventually the landlord evicted her and the children. A few weeks ago, she gave birth to her fourth child at Lalgadh Leprosy Services Centre, and after some time of care in the in-patients unit there, she has been found rented accommodation with support from NLT. Kalpana is broken-hearted at the loss of her husband, who she still loves, and is often overcome by despair; but she keeps rallying to care for her children. 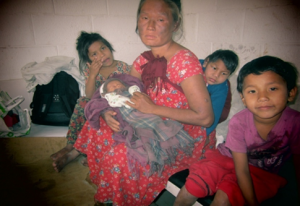 She has no idea what she can do, as she is still on treatment for leprosy and is weak. She has a new baby and her other children are still very young. Her disabled son is looked after a lot by his two older sisters, but he needs a lot of daily care. They certainly have no opportunity for schooling at this stage, unless things get a little better. The grim reality is that there are no obvious answers. In Nepali culture Kalpana is trebly “cursed” – by her single motherhood, by having a disabled son, and by leprosy. There is no system in Nepal for helping people like Kalpana, and her parents do not want her back. This family is therefore very vulnerable and our Community Team is aiming to help with some land and permanent housing, and later on a small business startup to provide an income for them. There are other needs of course, but this would be a good starting point to help Kalpana make a new beginning. Thank you to all those who have helped support Kalpana.